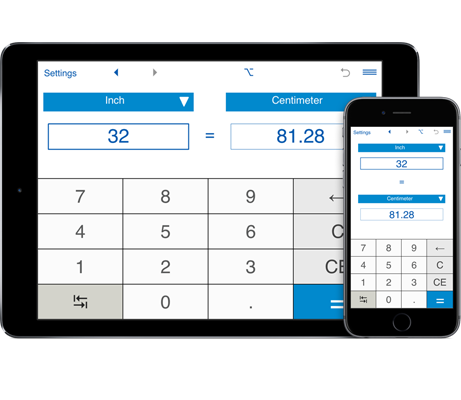 A handy app to convert between inches and centimeters, including fractional values. "Flip" button (two arrows in the bottom left corner) lets you easily switch between "Inches" and "Centimeters". With this app you can easily convert fraction inches to decimal inches and centimeters, centimeters to fractional and decimal inches, etc. Supports rounding to the specified number of decimal places. By default, the app displays 2 decimal places. For fractions, you can round results to the nearest 1/2, 1/4, 1/8, 1/16, 1/32, 1/64, 1/128, 1/256. Inches and centimeters converter keeps conversion history.